If you had told PC gaming enthusiasts back a decade ago that you were looking for a PC that was powerful, but also ultra compact, they’d most probably laugh at you, and then dismiss your request as a fantasy. These days, that niche market is slowly seeing a resurgence, and that’s also due to the availability of today’s feature-packed offerings. 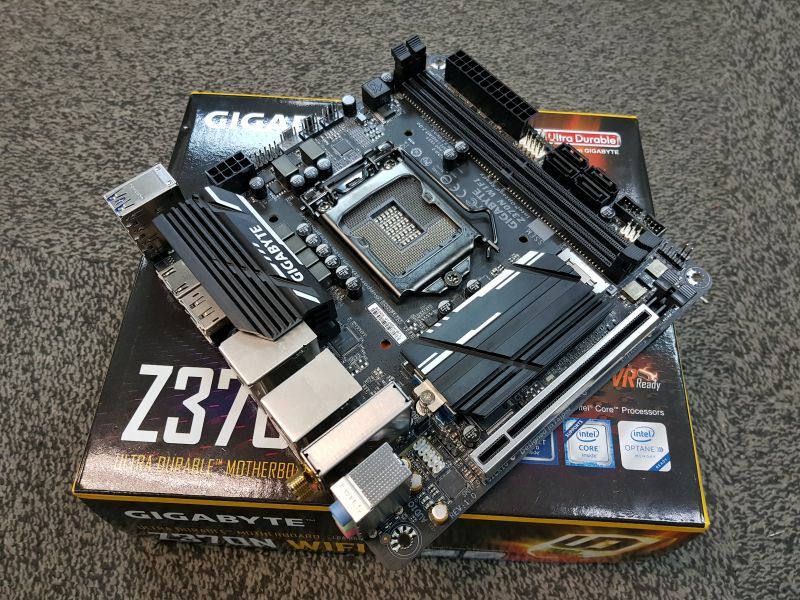 Such is the case of Gigabyte’s Z370N WiFi, an ITX motherboard that seems to offer almost every conceivable feature available on the current market. But what exactly do you get with a motherboard of such caliber and size? Keep reading to find out. 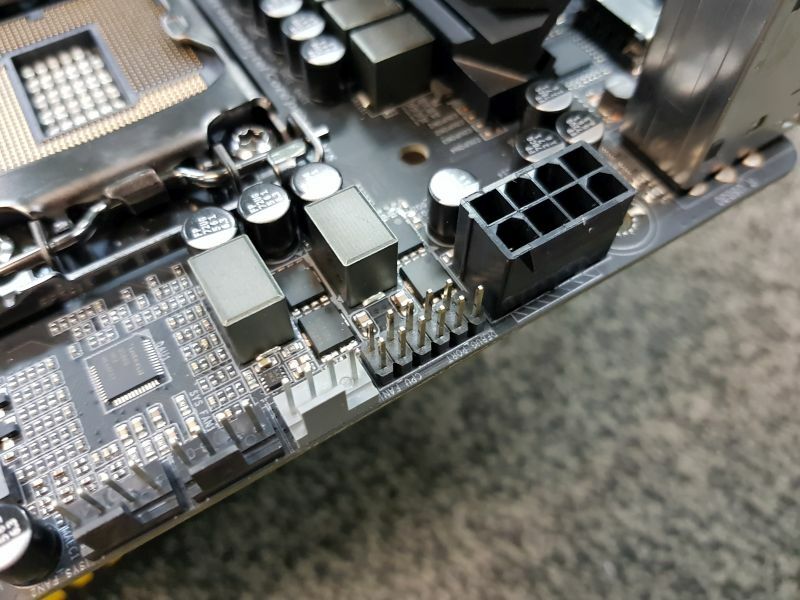 Like all ITX motherboards, the Z370N WiFi can (by some measure) be described as a motherboard that has all the trimmings beneath the hood. Of course, as it is with every PC component circa 2016, one feature that is prevalent with the Z370N WiFi is support for Gigabyte’s own RGB Fusion. To be clear, the motherboard itself is free from any RGB LEDs, but should you wish to illuminate your compact form factor PC, you can get hold of some RGB Fusion-supported LED or RGBW LED strips to attach to the board. There’s also the onboard Smart Fan 5 feature: a fancy term used by Gigabyte to say that the board is peppered with a multitude of temperature sensors, and that users can also interchange fan headers. 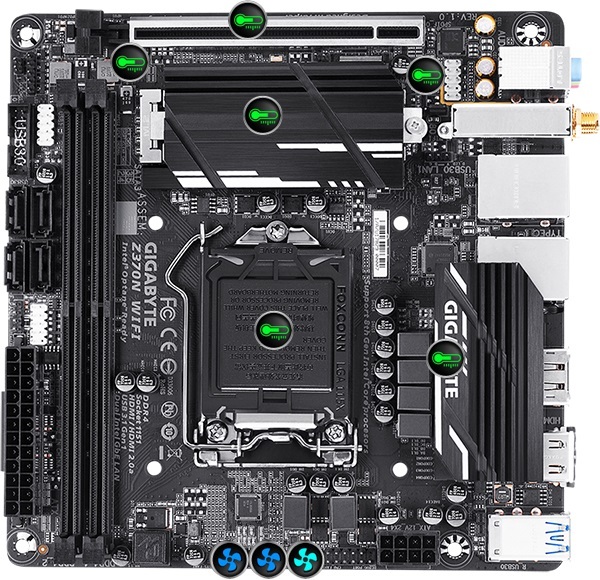 Now, while one of the major caveats of an ITX motherboard is the limitations of the number of components you may physically install onto the board, it’s not an exaggeration to say that Gigabyte has actually done a decent job in adding some of today’s most demanding features to the mix. 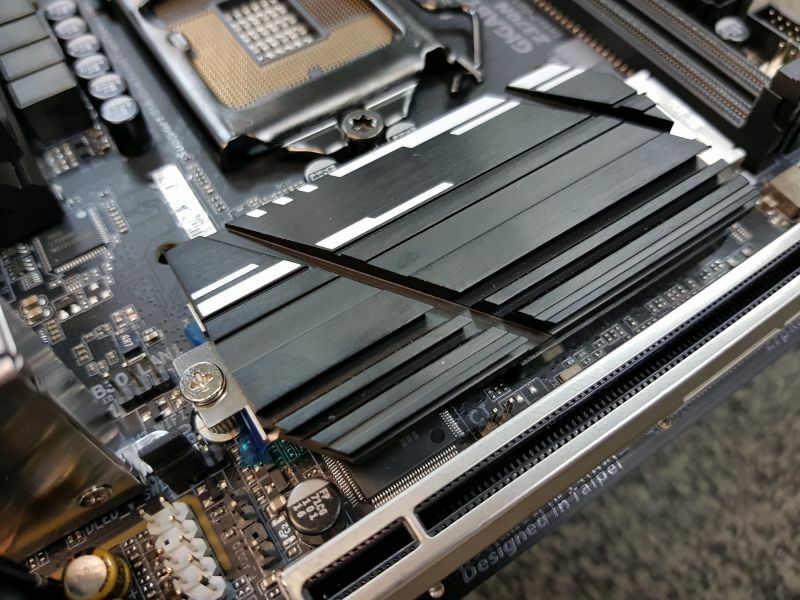 For instance, the motherboard houses two M.2 SSD ports that support the current Dual PCIe NVMe Gen3 x4 setup. That’s near breakneck NVMe speeds on an ITX motherboard. 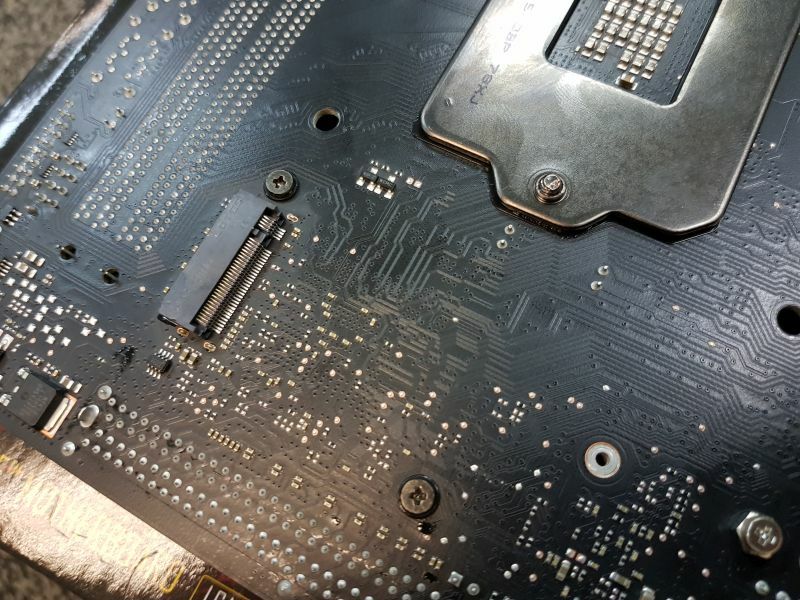 If you’re wondering where the ‘Dual’ part of the M.2 slots comes into play: the second M.2 slot is situated at the back of the motherboard. Naturally, as it is based on a Z370 chipset, the motherboard also supports Intel’s Optane Memory technology, so if you have an Optane-compliant mechanical drive instead of a regular SSD (in which case, you should be ashamed of yourself), this works as an option if you still want faster boot times. And connectivity isn’t even an issue with this motherboard. Not only does it come with dual Intel Gigabit LAN ports, Gigabyte has even embedded an Intel 2x2 802.11ac Wireless module into the Z370N WiFi (hence its namesake). It’s not just something that Gigabyte threw in at the last minute either. Compared to other Wi-Fi modules, this particular module is capable of smooth, continuous, wireless speeds at 867Mbps. In layman's terms, that should give you a hiccup-free wireless experience, be it for gaming or even streaming your favorite videos. With that said, you’re probably going to want to stick to using the given LAN ports if you’re looking at a foolproof and unfettered solution for the former. Power for the motherboard is drawn through the usual ATX 24-pin, while the power for the CPU is drawn through the 8-pin power port. Surprisingly, it has an extra power phase and some decent-looking heatsinks too, a trait that would help if one were to overclock any of Intel’s new 6-core Coffee Lake CPU with this.